When it comes to grammar, teachers have a wide variety of instructional preferences. Of course, balanced grammar programs, which attempt to teach grammar in the listening, speaking, reading, and writing contexts do exist and are becoming increasingly popular in many classrooms. 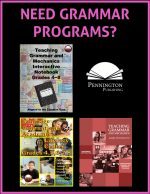 Following are brief descriptions of the Pennington Publishing grammar programs, which adopt the latter instructional preference and accommodate the challenges of teaching grammar as a secondary instructional focus in most classrooms. Please click on the title you wish to explore further or click HERE to view the entire grammar collection. Teaching Grammar and Mechanics Grades 4, 5, 6, 7, 8 are slices of the Grammar, Mechanics, Spelling, and Vocabulary programs… Teaching Grammar and Mechanics for High School is its own program, designed for older students. Comprehensive and effective. 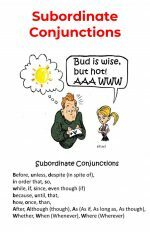 User-friendly for the novice or veteran grammarian with YouTube training videos. 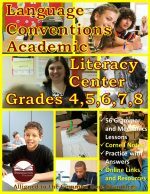 The Language Conventions Academic Literacy Center Grades 4–8 program provides 56 grammar and mechanics lessons, aligned to the CCSS Standards (alignment documents included). Each lesson takes 20 minutes to complete collaboratively within the literacy center. You and your students will love these rigorous, interactive lessons. This is a full year, twice-per-week program that will produce measurable results. You, your students, their parents, and administrators will see these results on the biweekly unit tests in which students are required to define, identify, and apply the grammar and mechanics rules, concepts, and skills they have learned together. Students work cooperatively to take Cornell Notes from the content and skills in the Mechanics Notes and Grammar and Usage Notes sections. The Links and Response sections provide online resources for additional grade-level, accelerated, and remedial practice (over 100 songs, videos, chants, and worksheet resources). Space is provided in this section for students to list key ideas, comment, make connections, and write questions. Additional space is provided at the bottom of the lesson for students to summarize the key mechanics and grammar content or skills. Next, students practice practice the mechanics and grammar content and skills. Students individually apply the lessons with identification, error analysis, sentence revisions, and sentence combining in the writing context and self-correct as a group to learn from their mistakes. All the literacy center support materials are included: Group Norms Poster, Leadership Roles Poster, Literacy Center Signs, Literacy Center Task Cards, and 10 Rotation Options. Plus, easy-to-follow directions to ensure your success. Make sure to check out the other Academic Literacy Centers. 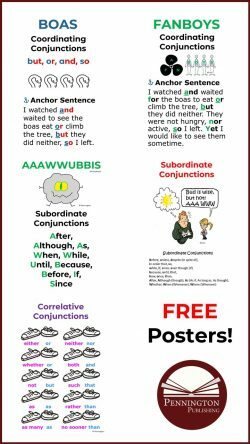 Want to teach grammar through writing? This one’s for you! It’s direct instruction with only two 5-10 minutes openers per week, but it gets the job done… much better than Daily Oral Language or adhoc grammar and mechanics mini-lessons in writers workshop. These separate grades 4, 5, 6, 7, and 8 programs each provide 56 whole-class, twice-per-week “quick writes,” designed to help students learn, practice, and apply grade-level grammar, usage, mechanics, sentence structure, and sentence variety Standards. 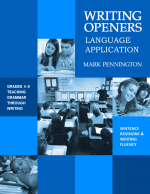 The Writing Openers Language Application lessons are formatted for classroom display and interactive instruction. The teacher reads and explains the Lesson Focus and Example(s) while students follow along on their own accompanying worksheet. Next, the students annotate the Lesson Focus and summarize the Key Idea(s). Afterwards, the students complete the Practice Section (sentence combining, sentence revisions). Finally, students complete the My Own Sentence writing task. 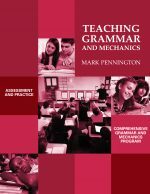 As slices of the traditional and literacy center grammar programs, Pennington Publishing provides remediation in grammar, usage, and mechanics in both formats. 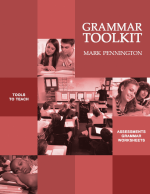 In the Grammar Toolkit and the Remedial Grammar, Usage, and Mechanics Literacy Center, teachers administer the Grammar and Usage Diagnostic Assessment and the Diagnostic Mechanics Assessment to determine which skills students have not yet mastered. assessment. Students self-correct their work from the answers and mini-conference with the teacher to review the formative assessment. Grades 4- 8 lessons aligned to the Common Core (alignment documents included). Note that this is not specifically a grade-level program. 64 Lessons designed in the interactive Cornell Notes format with plenty of online links to help students practice. Lessons take 40 minutes, twice per week. Students are provided the full note-taking text and write only the examples from the teacher display. LESS time copying and MORE time learning. Students self-correct from answers on the display. Plenty of practice in this program. Brief grammar and mechanics sentence dictations to formatively assess whether students have achieved mastery. 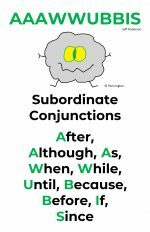 Students read, laugh, and respond to 64 color grammar cartoons by master cartoonist, David Rickert. Students use their grammar and mechanics notes to label, color, cut, and glue 3d graphic organizers from easy step-by-step directions. Completed color graphics (the answers) are included to serve as models. No need to create a teacher INB; it’s done for you and for absent student make-up work. Diagnostic assessments with over 100 targeted remedial worksheets and online resources. Students complete the worksheet practice, self-correct and edit from the answer booklets, take a brief formative assessment, and mini-conference with you to assess whether students have mastered the Standard. Since the publication of Erin Cobb’s wonderful Interactive GRAMMAR Notebook in 2014, the sale of Interactive Notebooks (INBs) in every subject area has boomed on such key teacher-author curriculum sites as Teachers Pay Teachers. To say that Erin has been successful is an understatement. 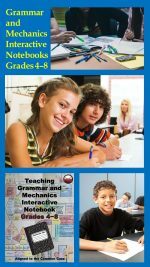 As of this writing, her interactive grammar notebook has sold over 30,000 downloads with 6,958 reviews (most all gushingly supportive and/or at least thankful in order to receive the 5% credit for a rating and review on the Teachers Pay Teachers site). Erin has also been influential. 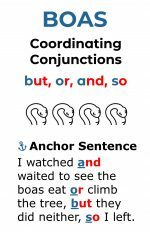 Her clever grammar activities, foldable templates, cover art, and incredibly low price have set the standard for other interactive notebooks. Erin is also prolific. The number of her Lovin Lit products increases at a seemingly exponential rate. Although secure in her market share of interactive grammar notebooks because of Teacher Pay Teachers page/site position by sales and reviews and Erin’s renowned customer service, any industry standard can be improved upon… After all, “New and Improved” is the American way. Rather than a specific critique of what an interactive notebook should not be (see my article titled “10 Reasons Not to Use Interactive Notebooks”), let’s learn from Erin’s example and the improvements other teacher-authors have made to the interactive notebook style of instruction for grammar. 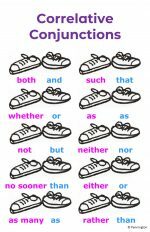 Here’s a checklist of what to look for in your first grammar INB or if you’re looking for a “New and Improved” version of a grammar INB. Minimal prep for each lesson… teach on the fly. Good curriculum is user-friendly. Rigorous, grade-level Standards-based lessons based upon a balance of grammar, usage, and mechanics. Check for specific grade-level Standards alignment documents, not a general one page reference. Specific remedial worksheets (not just extra practice) to help individual students master grammar and mechanics concepts and skills yet unmastered following the lessons and/or unit test. That’s assessment-based, individualized instruction with a formative assessment to determine mastery on each and every worksheet. Online links and resources with proper copyright permission. Teachers need to model proper digital citizenship and fair use. If we insist upon student citations and warn against plagiarism, then… enough said. 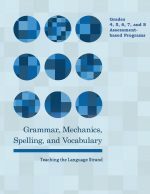 Before buying a grammar interactive notebook, perhaps consider a FREE Teaching Grammar and Mechanics Interactive Notebook spelling rules and parts of speech review unit (which includes all of the “New and Improved” instructional features mentioned above. Why not try before you buy? Instructional style and time are the chief criteria in choosing the program which will work best for you and your students. Read the following “quick look” descriptions and make sure to click on any that interest you to see the expanded product description and plenty of program samples on our site. However, before you navigate away from this page, copy down our discount code 3716 to take 10% off of the price of any Pennington Publishing products at check-out. 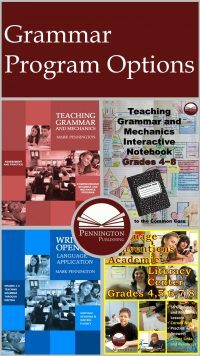 Pennington Publishing provides six grade-level Teaching Grammar and Mechanics programs (grades 4, 5, 6, 7, 8, and high school) to teach each of the CCSS grade-level Standards and Progressive Skills Review (alignment documents included). Absolutely no prep is needed and all answers are provided. YouTube training videos ensure teaching success. Each of the grade-level programs provides 56 interactive language conventions lessons, designed for twice-per-week direct instruction. 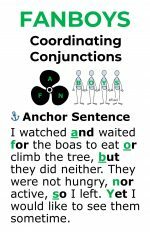 The scripted lessons (perfect for the grammatically-challenged teacher) are formatted for classroom projection. Standards review, definitions and examples, practice and error analysis, simple sentence diagrams, mentor texts with writing applications, and formative assessments are woven into every 25-minute lesson. Individualized Assessment-based Instruction: Teaching Grammar and Mechanics also includes all resources for teachers to meet the diverse instructional needs of individual students. Perfect for English-language learners, special education, and remedial students! The program provides diagnostic grammar and mechanics assessments to determine the specific remedial needs of your students. Teachers individualize instruction according to the results of the diagnostic assessments with targeted grammar, usage, and mechanics worksheets. 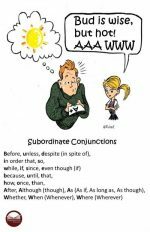 Each worksheet includes definitions, examples, writing hints, and a practice section. Students self-correct each worksheet to learn from their mistakes and then and complete a short formative assessment. The teacher corrects the formative assessment to determine mastery. Students catch up while they keep up with grade-level instruction. This interactive notebook is a great resource! My students enjoy learning grammar in a different way. Oh my gosh-cannot believe this! Not only does this include graphic organizers, but resource materials and guided instructions. This is amazingly cool! grade-level Language Conventions Standards. (Complete CCSS alignment documents are included.) The 77 worksheets focus on the Common Core Language Strand L.1, L.2, and the Language Progressive Skills Standards. Each worksheet includes concise definitions of the rule, skill, or concept with examples, the connection to writing, a practice section, and a brief formative assessment. Students self-correct their work from the answers and mini-conference with the teacher to review the formative assessment. Looking for a comprehensive BUNDLE for the best value? Get the grade-level Grammar, Mechanics, Spelling, and Vocabulary (Teaching the Language Strand) programs for the finest in ELA instruction.